Changin’ Your Game Plan is a book written by Randy Kearse and he joins me to discuss how those leaving the prison plantation can successfully transition back into society. Randy says, "While the whole re-entry process is fraught with challenges that can lead to rejections, disappointments, and temptations, it also is a time for self-renewal and transformation. This new book addresses the major psychological and practical day-to-day challenges facing ex-offenders as they reenter the free world. Hard-hitting chapters outline a clear process for re-entry success. Addresses everything from attitudes, motivation, and education to telling the truth, taking responsibility, building trust, seeking community-based assistance, and leaving a legacy." On August 4th, a Stop The Violence Summit in Chicago will take place. There have been similar movements around the country called "Stop The Violence" but for the most part have been unsuccessful. What are some solutions to stop our young men from killing each other and others in the community? Upon returning to the United States from Vietnam, Seth was swept up in the Black Liberation movement and joined the Black Panther Party. He worked in the free breakfast for children program and began dedicating his life to the betterment of Black people. His knowledge of the effects of racism on the Black community convinced him that the Black Panthers’ program of community service ad community self-defense was what was needed. His work, like that of so many others, was disrupted by COINTELPRO. Fearing further attacks, he went underground, believing it a better way to protect the work of the Black Panther Party and the Black movement in general. I will be joined by Crystal Hayes, Seth's daughter and Nate Buckley who is a political prisoner supporter of Seth Hayes and co-founder of Burning Books bookstore in Buffalo, NY. In 2010, Illinois took a step in the right direction when the legislature agreed to form what is known as the “Torture Inquiry and Relief Commission”. Recently the majority Democrat legislature took a huge step backwards in delaying and denying justice for the victims of Burge. Because the State of Illinois is facing a budget crisis, it decided to cut funding to the commission. Tonight let us put our thinking caps on and figure out a solution to getting justice for remaining victims. 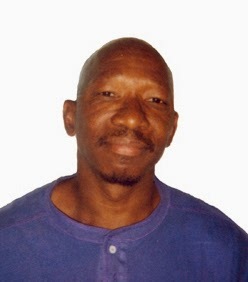 Mark A. Clements, is a Chicago Police Torture victim who spent 28 years inside Illinois prison for a crime that he did not commit. He serves today as Administrator over the Campaign to End the Death Penalty and Jail Jon Burge Coalition. Many political analyst not seen on corporate tv have been saying that the US Govt and Israel have been supporting Al-Qeada in Syria, just like they did in Libya to destablize and overthrow the government. The evidence keeps emerging. With the US openly supporting these insurgents, are they putting America at risk for retaliatory attacks? As the protest over police killing unarmed citizens in Anahiem, California enter their 5th day, The President of the United States pretends like nothing is happening or he does not care. Rev. Jesse Jackson and other black "leaders" have gotten the word to go ahead with the ban assault weapons campaign ahead of the elections. Is this what Black voters should be spending their political capital on? Sentencing Disparites do not represent Justice. Will discuss an case brought to my attention where a a guy got a 4 yr prison sentence for drunk driving although it was his first offense and no one was hurt. How do we address this practice of racism in our courts? A Republican party official facing corruption charges in Florida spills his guts on racism white supremacist based voter disenfranchisment plot. Illinois shuts down police torture commission with victims still in prison. Pattern emerging and reveals new tactic racist politicians are using to delay and deny justice. Portugese skateborder seriously injures self in accident, blames injuries on black men, should this be codified as a hate crime against the entire Black community? Evidence of an accomplice of shooter in Aurora, Colorado attack is being reported as well as a report that the shooter James Eagan Holmes, not John Holmes, had a mind control mentor.